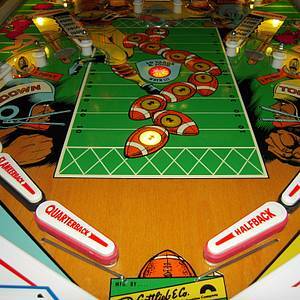 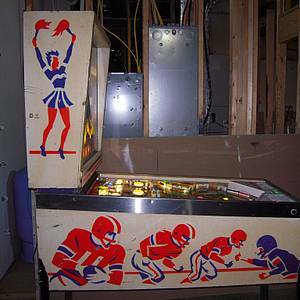 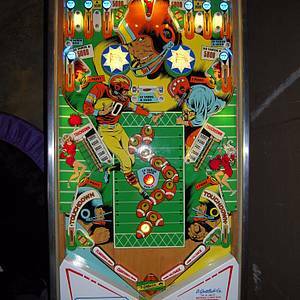 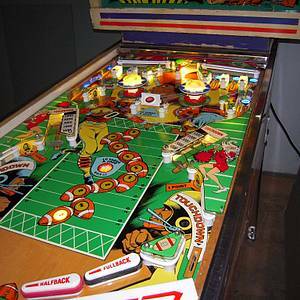 Gridiron is a pinball machine from December 1977, manufactured by D. Gottlieb &amp;amp; Co. 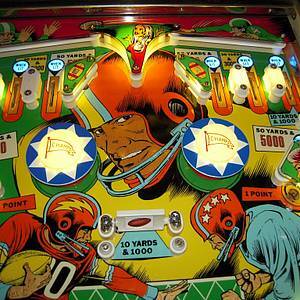 It is a football themed game with a unique dual scoring system. 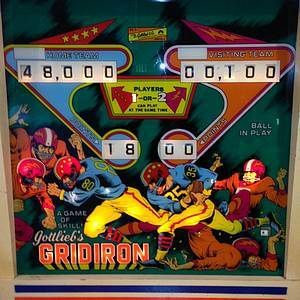 It keeps standard pinball scores as well as football scores from various targets on the playfield. 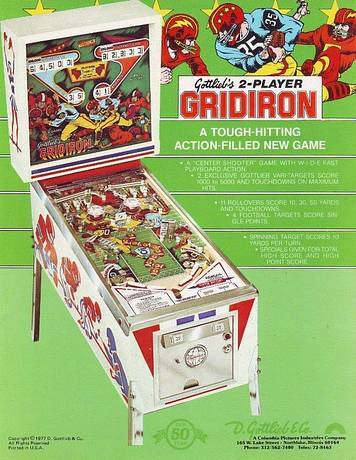 "A tough-hitting action-filled new game."